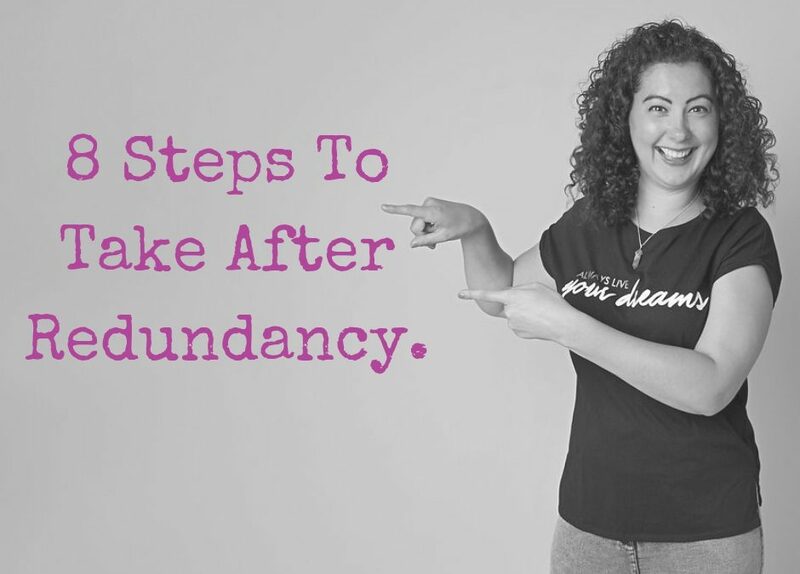 8 Steps To Take After Redundancy. For many people, losing a job not only means the loss of income but also the loss of identity. After all, we spend large proportions of our time at work. So the situation can leave you feeling lost and without clarity as to what to do next. While the situation can feel overwhelming, there are many things you can do to take control, maintain your spirits, and come out of this difficult period stronger, more resilient, and with a renewed sense of purpose. 1. React if you want. It’s ok to have a private toddler moment when the news hits. 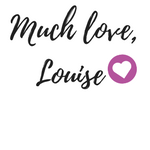 Just as long as you’re aware of your emotions and you don’t allow it to escalate into unhealthy patterns of behaviour (such as hitting the bottle or not getting out of bed). If this happens, get some support. Do a ‘brain dump’ in your notebook / journal about how you’re feeling. 2. Create yourself some space. Rather than panic and launch into job hunting mode immediately, give yourself some time to think through what you really want to do next. Maybe this is an opportune time to take the holiday you’ve been “too busy” to go on. Equally, a walk out in nature is also great for allowing yourself some time to think clearly. 3. Choose your focus. Decide what’s within your control and what’s not. If it helps, draw a circle and write down everything that’s within your control inside the circle and things that aren’t outside the circle. Focus only on the things that are within your control. 4. Consider all the options. Write down a list of options available to you. Offer yourself plenty of choice by not paying any attention to any limiting beliefs that pop up. Act as though anything is possible for your future – because it is! Think about creating a vision board. 5. Make a plan. Taking into account your ideal timeline, set yourself a couple of specific goals. Decide what support and resources you’ll need (and where to get this). Make sure your plan is realistic. 6. Sustain your motivation. Navigating change will throw up challenges so it’s important you stay the course and find ways to motivate yourself. For example, ensure you maintain a routine for yourself and set yourself a daily (achievable) goal that’s part of your plan. 7. Prioritise your self-care. The process of redudancy isn’t easy and the transition from normal to your “new normal” takes a lot of mental and physical energy. You can’t pour from an empty cup so make time to replenish your energy levels. 8. Get some support. You don’t need to deal with the situation alone. Talk to a trusted friend or family member. You can also seek support from a mentor or specialist coach. If you feel super depressed, then speak to your GP or seek therapy. Whatever type of support you need, remember you’re not alone. Found this article helpful? Awesome. There’s more like it on the blog.